Last Sunday was exactly five years since the day John Peel died, and roughly ten years since I started listening to his late-night show on Radio One. 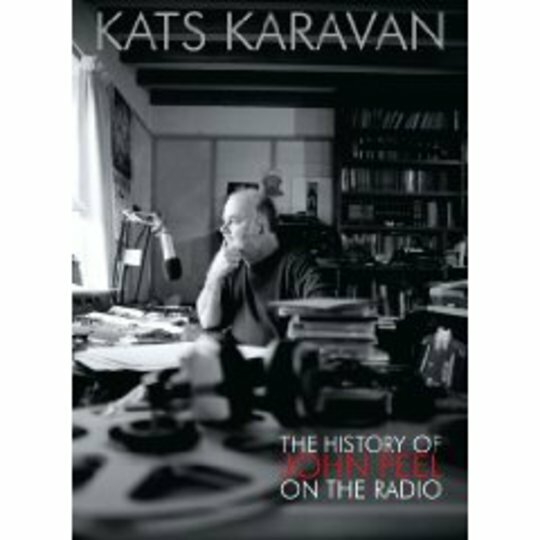 I was 13 then, and hearing his voice on the clips interspersed amongst the music on Kats Karavan brought memories of that time back through the mists of time… myself in miniature, procrastinating over homework as Peel unleashed whole genres of hitherto unimagined music on my fragile consciousness, from shoegaze to ambient techno. Peel’s endless quixotic quest to “hear something I haven't heard before” led me into uncharted musical territory whilst proffering myriad paths worth exploring. The loud, strange sounds he loved seemed to be gleefully tearing apart the Sixties rock’n’roll I’d inherited a taste for from my parents. As it turns out, that had been Peel’s doing as well. When I wrote an article recently which suggested Peel had inhabited a different musical galaxy to the one I’d grown up in at my parent’s house, my Dad sent me the track listing of a Peel show from when he’d been 13 in 1969. It was all there. Peel had planted those seeds, a generation earlier, just as surely as he uprooted them 30 years later. Of course, that story is far from unique. What’s remarkable is that every year from 1967, when Peel returned from America and the show from which this collection takes its name, until 2004 when he died, there were teenagers of all ages tuning-in to hear Peel change their lives. None of us have that luxury anymore, but we do have this: a 4-CD set which draws together music from each decade of his broadcasting career (squeezing the Sixties and Seventies together on the first). The collection has set itself the impossible task of recreating his shows, hence the unannounced appearance of that unmistakable voice on a smattering of archived links and anecdotes. We start with The Misunderstood, the only band Peel ever managed himself, and their track ‘I Can Take U 2 The Sun’ which he at one point called “the best popular record that's ever been recorded”. But what manager wouldn’t? Relative obscurities like that are balanced out on the Sixties and Seventies collection by more predictable fare, the likes of Small Faces doing ‘Lazy Sunday’ or Thin Lizzy’s ‘Whisky In The Jar’. Pleasingly, though, these are frequently live Peel sessions, steering this collection away from the milieu of workaday compilation fodder. The Eighties begins in suitably obtuse mood with nearly seven minutes of the truly head-meltingly weird (And the) Native Hipsters’ ‘There Goes Concorde Again’. After that, the impact of Elvis Costello’s live energy on ‘High Fidelity’ is visceral. Peel pops up to intro The Cure’s ‘A Forest’, and fittingly even in digital posterity he can’t escape the old “minor technical problems”. Later on we’re also treated to a 1981 session from Pulp, featuring an 18-year-old Jarvis “woah”-ing about his ‘Turkey Mambo Momma’. On Altered Images’s cover of Neil Diamond’s ‘Song Sung Blue’, if you listen very, very carefully, you might even be able to pick out Peel himself on backing vocals. The Nineties opens with a similar trick to the Eighties by following the drawn-out beauty of The Orb’s shimmering ‘Back Side of the Moon’ with the high voltage shock of PJ Harvey’s ‘Sheela Na Gig’. Sometimes the juxtapositions are uncomfortably jarring, notably Tindersticks’ mellow ‘Raindrops’ and the glitchy techno of Dave Clarke’s ‘Protective Custody’, but that’s all part of the fun. 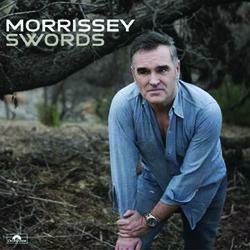 This is an alternative history of the end of the century, with Britpop thoroughly expunged. This decade's collection seems to be the least experimental, but perhaps the success of bands like Bloc Party, The Datsuns and Yeah Yeah Yeahs reflect Peel’s influence on mainstream music as much as any mellowing of his own tastes. The angry spasms of Bong Ra’s ‘Archie Bunker Disciples’ suggest he remained resolutely un-mellow and indeed CLSM bemoan the fact that he was at the time the only Radio One DJ playing hard dance on ‘John Peel Is Not Enough’. Inevitably, the list of overlooked bands is vast and debate will no doubt ensue over what has been sacrilegiously passed over. As far as I’m concerned, however, it was a thoroughly welcome decision to avoid The Undertones’ ‘Teenage Kicks’. Not that I have anything against the track itself, but the way it was constantly overplayed after his death, given hallowed status as 'John Peel’s favourite song' and thus presented as a comprehensive example of his taste was entirely contrary to his eternal spirit of eclecticism. That spirit is captured here. There’s much to discover, not all of it great, but that was always the point. John Peel was a remarkable guide, but it was always up to you to decide which paths to follow. This is a lovingly put together, fitting tribute to a brilliant man and with a little luck might just fall into the ears of listeners ready to go exploring but prepared to get utterly, wonderfully lost.